All of the books listed below can be ordered through Amazon, but you can also find me at Barnes and Noble, Goodreads and other outlets. Click on the individual book covers below to read sample pages. Are you looking for an introduction to theater for your early education classroom or community organization? Here are 10 simple, short, easy to perform, royalty-free plays (Plus 1 Bonus Play!) perfect for children ages 4-6. These plays can be adapted to suit your needs and encourage your young performers to get involved in every aspect of their production. As an elderly clockmaker prepares to move his business from a Chicago neighborhood that has left him isolated and bitter, a precocious girl with a rare pocket watch unravels his plans and challenges his loss of faith in humanity. What seems like a simple request becomes a journey through memories of the life he once had, while an unexpected encounter with the fantastic may determine the course of his future. A modern day fairy tale with a final reveal reminiscent of The Twilight Zone, Yolanda’s Heart invites you to visit a familiar time and place, yet out of time itself. My original tagline for this short story was Love is a State of Mind, but my good friend Zep from San Diego suggested Love is a Many-Splintered Thing would be more appropriate. So if you enjoy The Twilight Zone and having an annoying earworm of a song rattling around in your head all day long, consult your therapist and pick up this fractured fairy tale. Results may vary. Two exiled staff members of the Art Institute of Chicago are invited to attend the grand reopening of the museum as reimagined by a charismatic and messianic former student and the city's dysfunctional denizens. Set in a near future society well past its expiration date, The Invitation is a satirical tale of unbounded political correctness in a United States not so united anymore. You don't have to be a Chicago native to appreciate the mischievous mayhem within these pages, but if you're easily offended, don't even bother. There are no sacred cows in this cowtown! This tale may yet land me in the Literary Protection Program. This classic book, originally published in 1943 and reissued exclusively for Kindle, combines Dr. John Tinnon Taylor's thorough scholarship and keen observations into a critical examination of an oft-neglected period in the proliferation and dissemination of fiction in England. That the nascent English novel was disdained by the clergy and intellectuals alike was as much a reflection of the rise and education of the middle class as was the fear that such books would have a deleterious effect on Britain’s rigid class system. Drawing upon an abundance of contemporary commentaries, Dr. Taylor gives voice to notable personalities and writers who railed against the dubious merits of reading for amusement and instruction and who were especially candid in their belief in the novel’s harmful effects upon women, singled out as being the most susceptible to the dangerous thoughts that sensational prose inspired. The opinions and arguments the author presents throughout this book are deftly woven into a sharp narrative, and its issues are just as relevant today as they were two centuries ago. If you appreciate pure scholarship devoid of bloated, incomprehensible jargon and dark political and social agendas, give this book a try. Dr. Taylor was a passionate educator and scholar, and it shows. What began as a military invasion of Britain by Julius Caesar in 55 BC reached its tragic apex in AD 61 when Queen Boudica of the Iceni led a formidable army against the might of Rome. Although defeated in her quest and all but forgotten by history, Boudica was rediscovered during the Renaissance and elevated to a legendary status that continues unabated to this day. 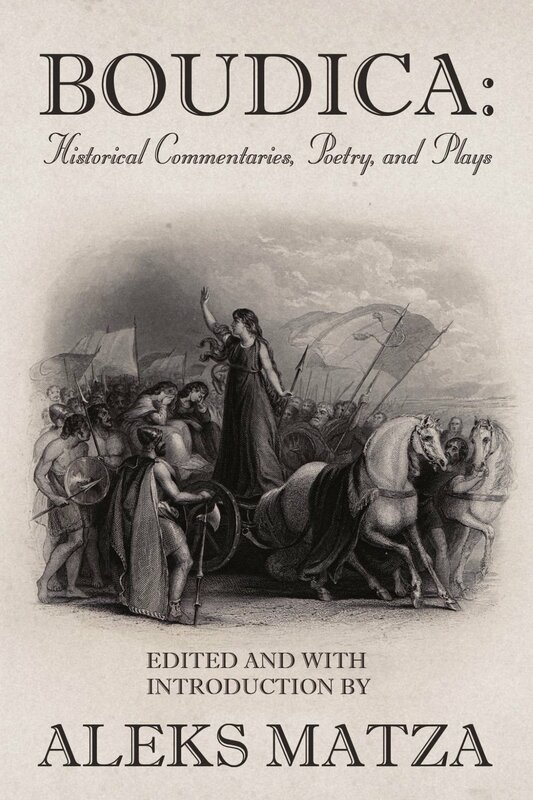 Boudica: Historical Commentaries, Poetry, and Plays is the first anthology devoted exclusively to the story of her rebellion as seen through the eyes of thirty-two authors spanning eighteen centuries and provides an invaluable reference source for anyone interested in the story of the remarkable and terrifying woman who dared to bring the Roman Empire to its knees. This is one of my favorite projects, mostly because I adopted the British Library as my second home (although it could use a few fireplaces and some comfy chairs). Boudica was an amazing woman who came thisclose to altering the course of European history, and much of the material in this book comes from my personal collection. Obviously I'm a Boudica fan. Whether you are new to corporate video or already have a couple of shows to your credit, The Video Production Organizer will teach you how to design and produce cost-efficient, effective programs. Its non-technical approach, with an emphasis on managing time, resources and people, offers professional advice and insights for creating news and history programs, product presentations, orientation and training shows, executive and public service messages, and more. The Video Production Organizer demonstrates how to: Understand basic video production concepts and terms, Create a production calendar and standard production book for organizing your notes and files, Locate and use scriptwriters, production companies, editing services, actors and more, and Work with company policies and politics. I am currently working on the Second Edition, but you can still find used copies of the 1995 Edition starting at the budget-busting price of One Whole Penny. If you can hang on until Fall 2017 I'll have all the cobwebs dusted off. Besides, no one uses 3.5-inch disks anymore. Not even me. All photos from On The Trail Copyright ©2018 Aleks Matza.